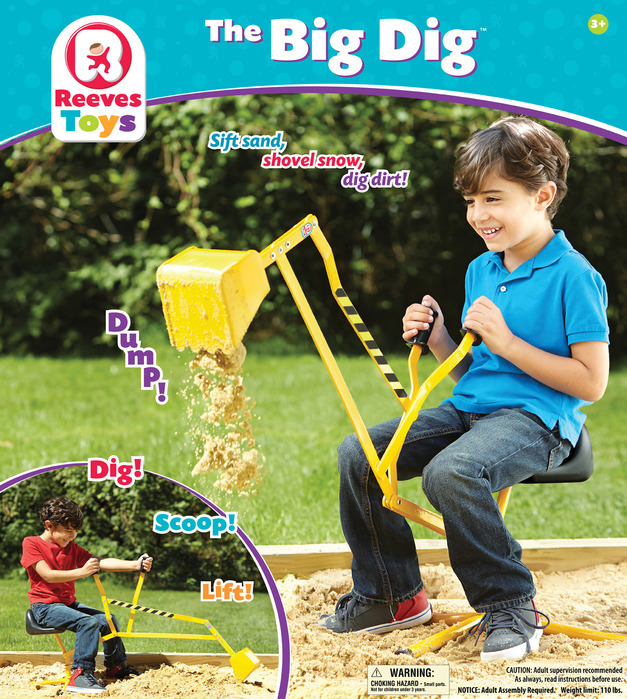 Get your kids outside today with the Big Dig Toy! The Big Dig sift sand, dig dirt & shovel snow! Two-handed controls advances hand/eye coordination and manual dexterity. The Big Dig has been selected as one of 2014’s Must Have Spring and Summer Outdoor Toys by the Toy Insider! Read the article, here. Weight limit: 110 lbs. Sturdy metal construction. Some Assembly Required. This entry was posted on Friday, July 18th, 2014 at 1:28 pm	and is filed under News & Updates. You can follow any responses to this entry through the RSS 2.0 feed. Both comments and pings are currently closed.